Demerath Farms near Plainview is making history by becoming the first robotic dairy operation in Nebraska. 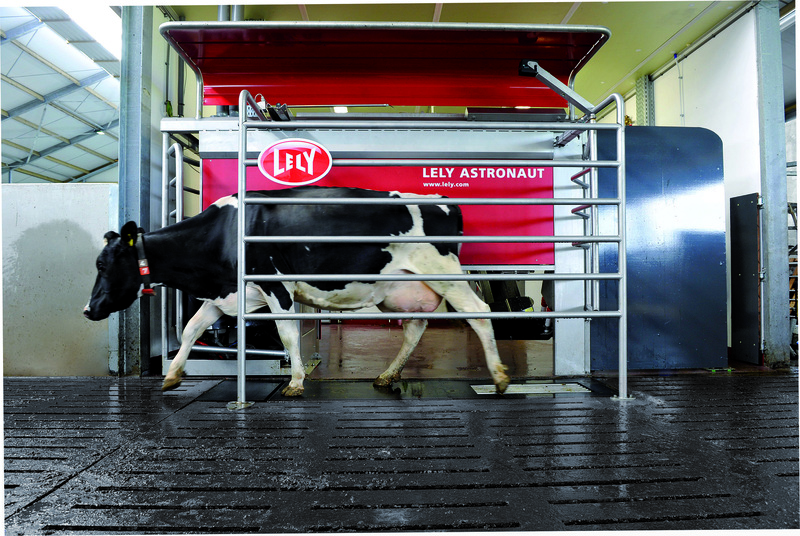 In February, the Demeraths began milking using Lely Astronaut A4 robotic milking systems in its expanding dairy operation. For Bill Demerath and his family operation, the switch to robotic milking was a long process. They wanted to increase the herd without increasing labor and they also needed a new barn. A new barn was built housing four robots, two on each side of the barn, and they used sand bedding and cow brushes in their pursuit to keep cows comfortable and content. The start-up to robotic milking was a smooth transition for the herd. "Things are going very well," Demerath said. Stacie De Groot, from Gorter’s Clay and Dairy Equipment, worked with Demeraths throughout their purchase and the start-up process. Lely Farm Management Support advisors are committed to providing support from barn layout and design, to tips that make the transition to automation a success. They work closely with the vet, nutritionist and other consultants to ensure optimal results for each operation. Lely Technical Service Support team members install the robots and ensure that each is properly fitted so the robots work correctly from the beginning. “Lely has been in the robot business for 25 years. Our success is based on the commitment we have to each Lely operation,” De Groot said. The Demeraths like the information they receive on each cow when she is milked, which Bill can receive on his smartphone as well. The time they used to spend milking can now be devoted to other tasks, such as cleaning stalls more frequently.